Don’t let the plain title of this recipe fool you. This has to be one of my favorite recipes that I have come across. Cream cheese, garlic powder, green onions, and Vermouth, make for a heavenly dinner. Finally a use for Vermouth other than making martinis. This recipe is from Toni’s Simply the Best cookbook. Are you ever looking for a great chicken recipe to put together? This recipe contains boneless skinless chicken breasts that are grilled. 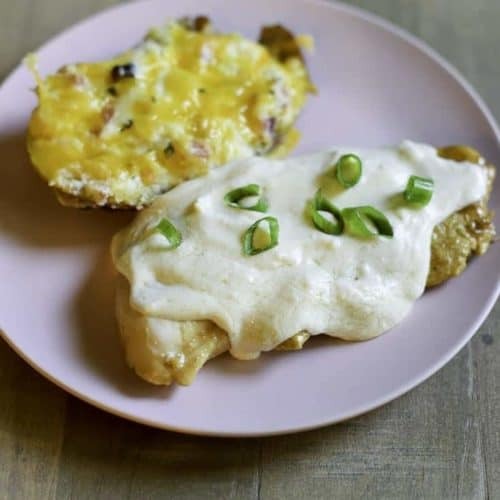 The chicken is then topped with a cream cheese sauce that features both garlic and Vermouth. This combination is heavenly, and it is super easy to put together, so a fancy dinner can be put together in minutes. 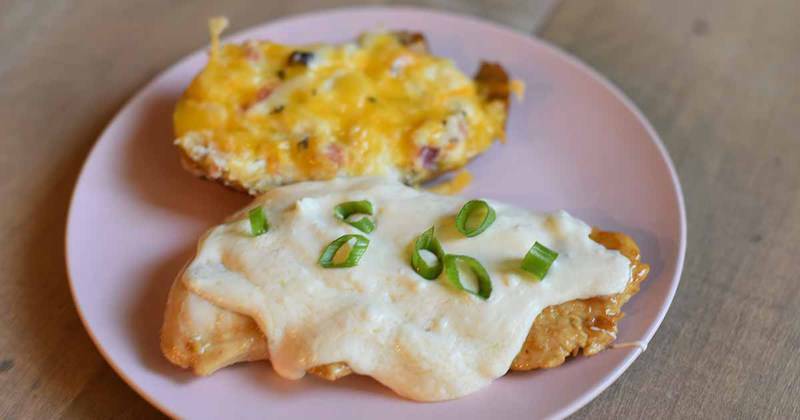 Hands down this is one of my favorite chicken breast recipes. This sauce is rich and perfect when served up with pasta. You don’t have to be an experienced cook to put together a rich sauce. The garlic and the Vermouth do all of the work for you. I will serve chicken this way at a party, or even during an ordinary night of the week. 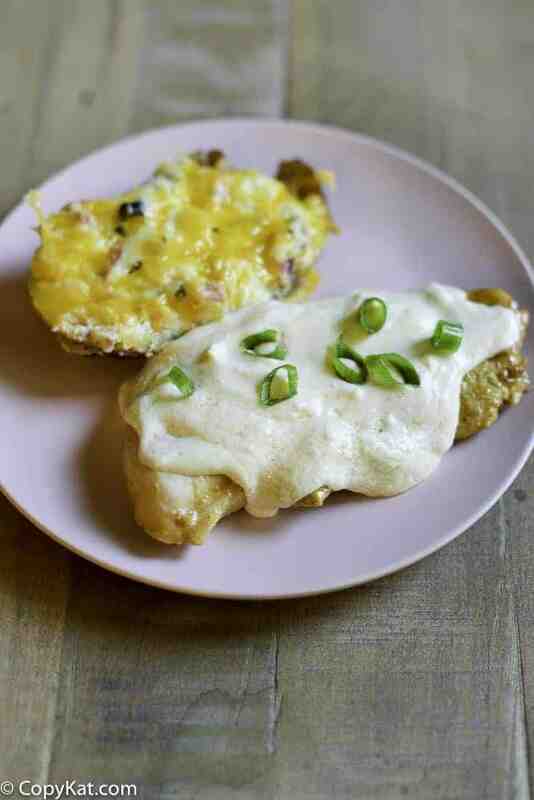 This is an easy chicken recipe, is made with a cheesy, garlicky, and a touch of Vermouth. Brown seasoned chicken breasts in butter in heavy skillet, cooking until just barely done; 8 to 10 minutes on each side. Set aside. Pour dry vermouth in same skillet, deglazing by stirring and scraping up the browned bits from cooking the chicken, and cooking 3 minutes. Add garlic powder. Whisk in softened cream cheese. (Add a little chicken stock or milk if you feel it is too thick – sauce should be consistency of heavy cream.) Return chicken, with any accumulated juices to the pan. Check seasoning. Spoon some sauce over chicken garnishing with green onion. Pass extra sauce. Oh My! What an easy and delicious dish. Served over rice, yummy! Thank you for giving this recipe a try. It is one of my favorite recipes. thanks Nov10Child. Making it right now. Can’t wait for dinner and comments from hubby. Has anyone tried to substitute Chardonnay in place of the vermouth? yes i used Chardonnay in place of the vermouth .It was delicious. I am glad that worked out well for you! I like all the comments about this recipe, and I will do it tomorrow for dinner!!! This recipe has become one of my goto recipes. How much fresh garlic could be sustituted for coarse garlic powder and still have the chiken, vermouth,& cream chs. recipe taste great? I would add a clove or two chopped very fine. This was a hit at my house! I chopped the chicken into bites size after cooking (when I set it aside to make the sauce). The sauce was delicious!!! This is my favorite way to cook boneless skinless chicken breasts. Wow, I love your take on this recipe. I am going to be preparing my chicken like this soon! I made it this weekend for friends and they loved it! The only change I made was low-fat cream cheese. It was really simple, but tasted complex. I’m printing this one out because, as you know, I love vermouth in recipes. Can’t wait to try it! This is the best use for vermouth that I have found. I love this chicken! I wonder if you can make the chicken and cream cheese ahead of time and at the last minute re heat and make pasta and that way you have more time to visit with your company? So I don’t know if you are asking if you can make it hours ahead of time, or something like an hour ahead of time. I wouldn’t make this the night before and then reheat it, I would make this an hour before eating, and try to keep it warm, you may need to add some milk/cream to the sauce to keep it thinner, because with continuous heat the sauce will become thick. This is very helpful but it can do with a little bit more help :)!!!!!!!!!!!! !